Like to read and review? Like it even more when the books are free? Then come along and join my Advance Reviewers list! Here’s how it works. Every time I’m about to release a new book (about 3x per year), reviewers on my special reviewers list get an email from me, offering them a free digital copy. Not only do they get the book free, they get it before it’s available in stores! What do I ask in return? Just a brief review, preferably posted within a couple weeks of receiving the book. But how do you get on my advance reviewers list? Easy peasy. Simply email: dara(at)daraenglandauthor(dot)com with a link to a review, any review, you’ve written in the past for one of my books. It can be on Amazon, B&N, Goodreads, your blog… Doesn’t matter where. It’s just to prove you’ve got typing fingers and you know how to use them. As soon as I receive your email, I’ll add you to my advance reviewers list. *Note: my advance reviewers list is not the same as my regular mailing list. If you already subscribe to that but would like to receive review opportunities too, feel free to join both. 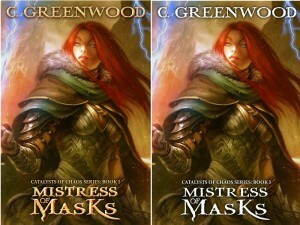 Three weeks from the release of Mistress of Masks, I’m caught in a super serious dilemma – white lettering on the cover or embossed gold? If my awesome readers will weigh in and make the decision for me, I’ll dedicate the novel to one random commenter. Just post your vote on my Facebook or blog page – white or gold? 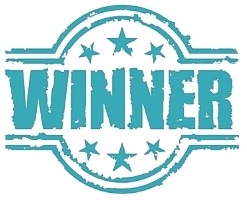 A winner has been selected for my February giveaway! 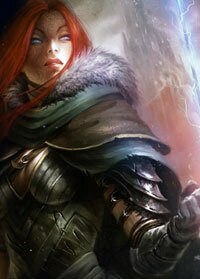 Congrats to Gordon Johnson, who will receive a full set of the Legends of Dimmingwood series (in print!). A big thanks to Gordon and to all the other readers who entered! Want to learn how to participate in all my giveaways? Sign up for my newsletter to receive new release announcements and be the first to know about giveaways and prizes! Hello all my readers! 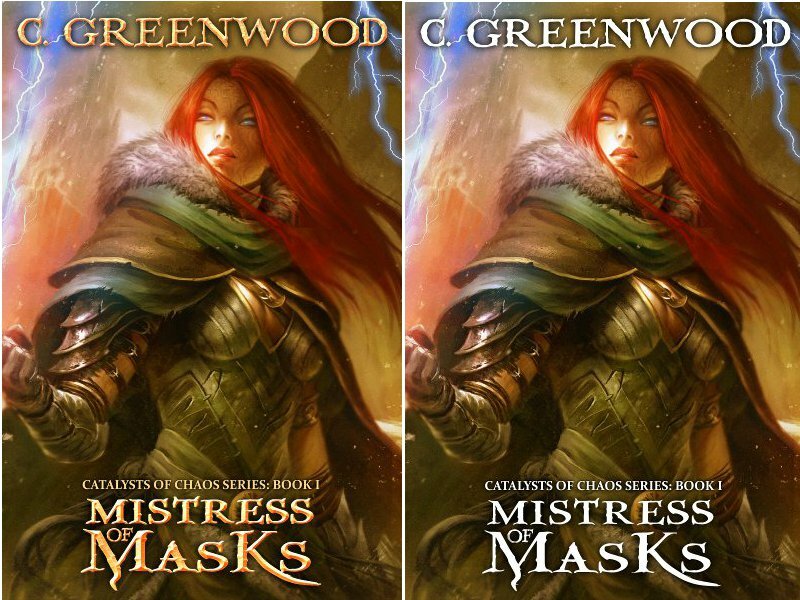 In response to the many emails, comments, and reviews I’ve received, asking me not to conclude the Legends of Dimmingwood series with Book IV as planned, I’m pleased to announce I’ll be extending the series with two more books! 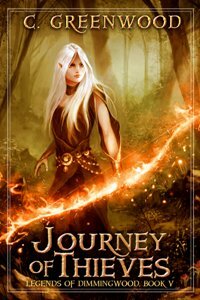 There will be a bit of a wait on the release of these books, as my current focus is on my upcoming Catalysts of Chaos series. 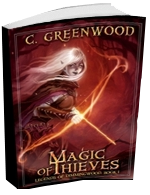 But I hope to release Legends of Dimmingwood, Book V: Journey of Thieves in the winter of 2014. Book VI: Rule of Thieves is loosely scheduled to come out in 2015. Thank you to everyone who has reached out to tell me how much you’ve enjoyed following the stories of Ilan and her outlaw friends. Please never hesitate to share your comments and requests with me. I love hearing from my readers and I do listen to your feedback. 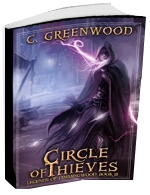 And now, here’s an early peek at the cover for Journey of Thieves. As you can see, in Book V we’ll find a more mature Ilan trading her brigand costume for a dress! What other changes do you think are in store for her? Hint: the book’s title and other aspects of the cover hold several clues. 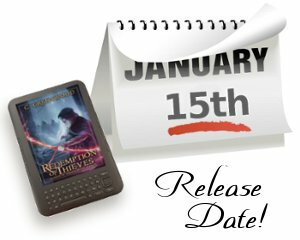 Redemption of Thieves Has A Release Date! Mark your calendars, readers! 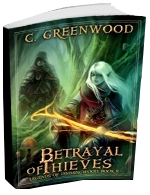 The fourth and final installment in the Legends of Dimmingwood series has an official release date! 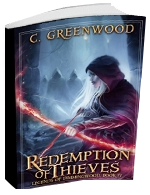 Redemption of Thieves will be coming to Kindles, Nooks, and other ereaders everywhere January 15th. This book has been a long time coming but I hope those of you who’ve been following along on the adventures of Ilan and her friends will find it worth the wait. If you’d like to receive a reminder notification on release day, sign up here. Also, stay tuned for news on a special giveaway I’ll be running soon to kick off the January release. Until then, happy holiday season to all!